NEW! 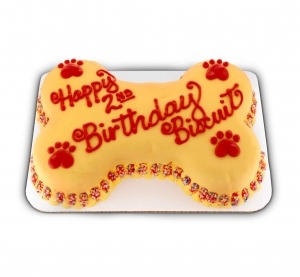 The Big Bone Cake for Dogs is our biggest cake ever! 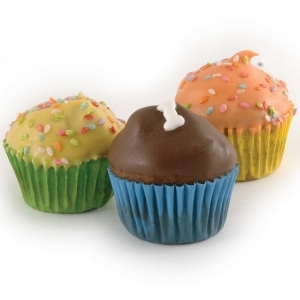 All four flavors are made with 100% Organic ingredients and include Peanut Butter & Carob, Peanut Butter & Banana, Pumpkin Cinnamon or Savory Bison Cake. 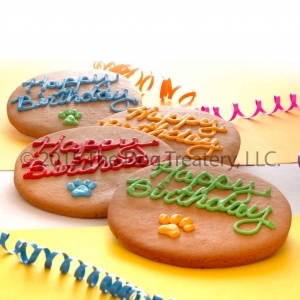 We coat our Big Bone cakes in your choice of Yogurt, Peanut Butter or Carob Icing and customize every cake with your dogs name beautifully written on top in any color of icing you like. 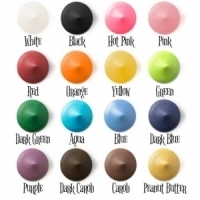 Want to try them yourself? Our cakes are made entirely of human-grade ingredients so you can enjoy a piece right along with your furry friend. 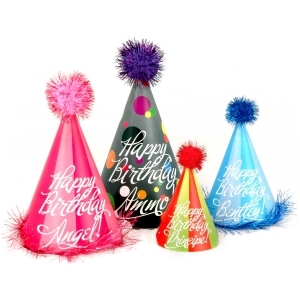 Look below in the related items for details on adding a customized party hat with your dog's name- available in dog and human sizes! 2lb 4oz. 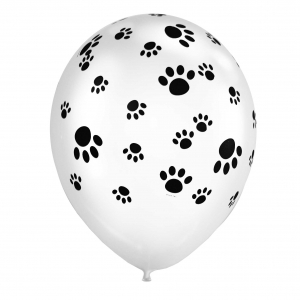 Cake- Approximately 8-12 servings for small dogs; 4-8 servings for medium dogs; 2-4 serving for large dogs. If this is a gift you may include a note card click here!